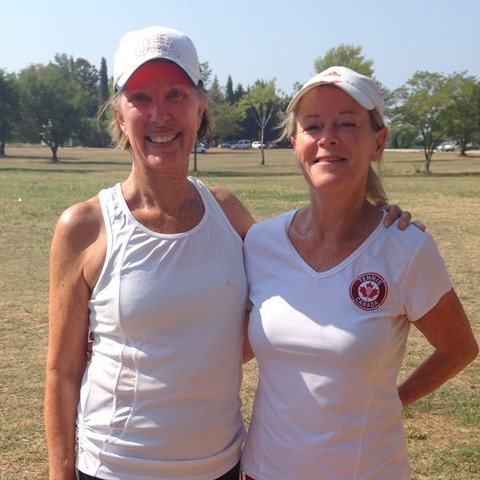 Toni Novack defeated Jean Martin, 6-0, 6-1; Molly Hahn defeated Paddy Mann 6-2, 6-4; Kathy Barnes/Sue Bramlette defeated Jandi Frazier/Linda Negulic 6-0, 6-1. 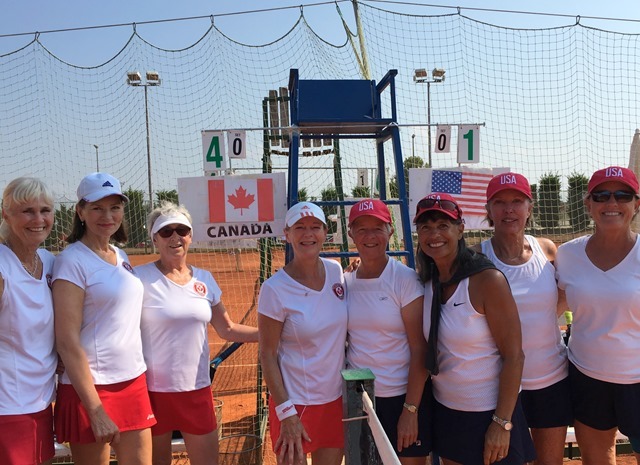 We invited all of the Canadians to come to Houston to play the clay courts. After the match, we hit some singles and then went for a swim in the Adriatic Sea. Tonight is the tournament banquet. Tomorrow we start earlier in the morning with a warm-up at 8:30 a.m. We play a very tough Australian team in the semi-finals. Results from all teams from Wednesday. 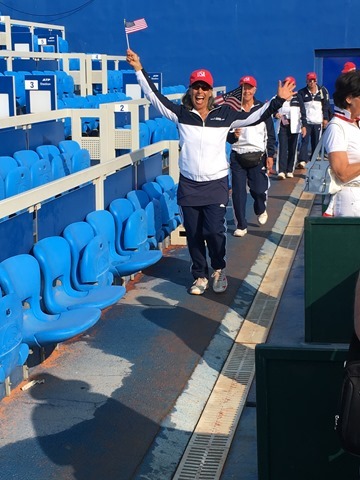 Below are photos of Toni Novack and her opponent from today and the USA and Canadian teams. Kathy Barnes is the shall we say more outgoing of the four teammates.